In recent weeks, news around the 2018 BMW Z4 have been relatively quiet, but thanks to the upcoming Toyota Supra we are now getting some new information about the Bavarian-Japanese sports car duo. The German roadster is being developed under BMW’s direction, just like the Nippon Coupe in Munich, but the result is two independent cars. The fact that Toyota is also allowed to use BMW engines was by no means certain, but now, together with some other details, and thanks to a catalog leak, we can confirm that the new version of the Toyota Supra will therefore be launched with three engines, which are also expected to drive the 2018 BMW Z4. The entry level model is using the 2.0-liter turbo four-cylinder engine of the B48 generation, which in the Supra will offer different levels of power, between 191 and 252 hp. The top model of the new Supra is powered by the B58 straight-six cylinder, delivering 340 hp with maximum torque rated at 450 newton meters. 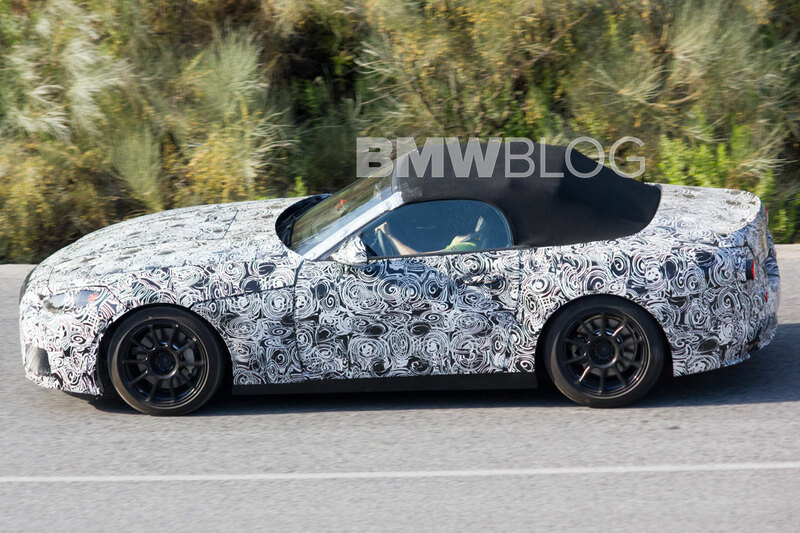 A BMW M performance variant of the next Z4 generation could also play in this region, while a possible BMW Z4 M would certainly be somewhat more motorized. No big differences between the roadster and the coupe are likely to be found in the dimensions. With a length of 4.38 meters, a width of 1.83 meters and a height of only 1.28 meters, the Supra is about 14 centimeters longer than the last Z4, four centimeters wider and with a somewhat flatter roof line. Another exciting detail is in the weight table, as these figures can also be taken in the Supra-leak. Although the BMW Z4 Roadster will be somewhat heavier than the Supra, which is only available in coupe form, the values ​​are still suitable as first indication of things to come. The lightest variant of the co-production car therefore comes to an empty weight of 1350 kilograms, the provisional top model with in-line cylinder brings 1,430 kilograms on the balance. For comparison: A current BMW 1 Series comes with the same engine (M140i) to a weight of at least 1,520 kilograms.